vintage, japanese, retro, seventies, girl, girly, kawaii, cute, water bottle, red, showa period, fancy goods. Here is a vintage girl's water bottle from the 1960s. The picture design has a 3D effect. The item is in new and unused condition. There is no outer plastic packaging. The item has slight wear from handling and storage. The item is made of plastic. Some plastic areas has changed color due to age. There are some metal parts as well. 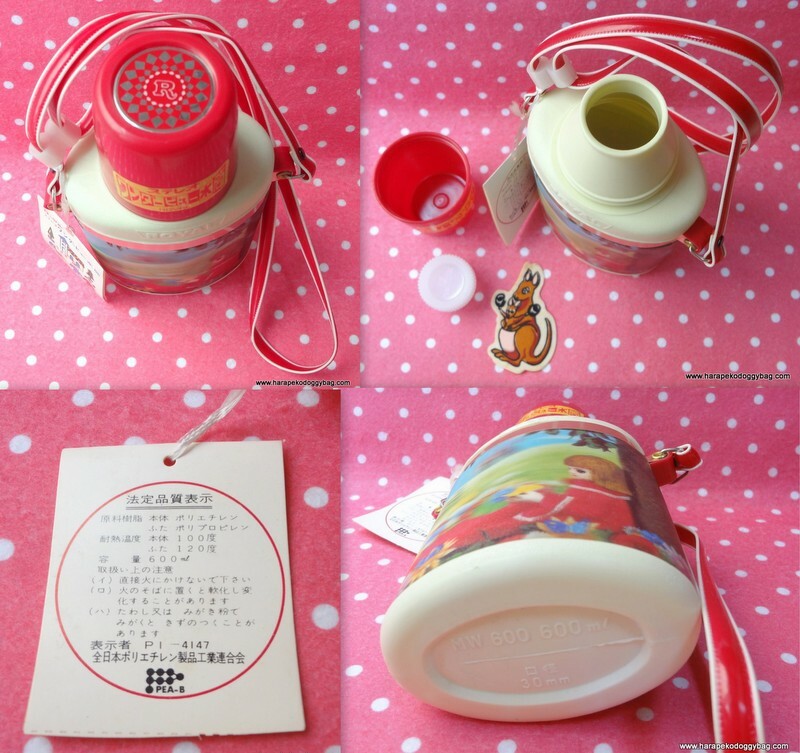 Keywords: vintage, japanese, retro, seventies, girl, girly, kawaii, cute, water bottle, red, showa period, fancy goods.